Celebrate the shared music and dance traditions of the Piedmont, the hilly region stretching from Georgia to the Chesapeake, and the Appalachians, which for centuries were equally popular among rural blacks and whites. 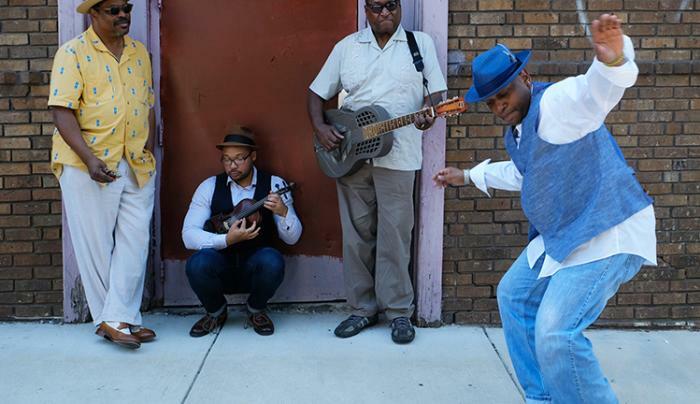 Blues harmonica master Phil Wiggins is joined by guitarist Rick Franklin and fiddler Marcus Moore, and the incomparable dance artistry of Junious Brickhouse. 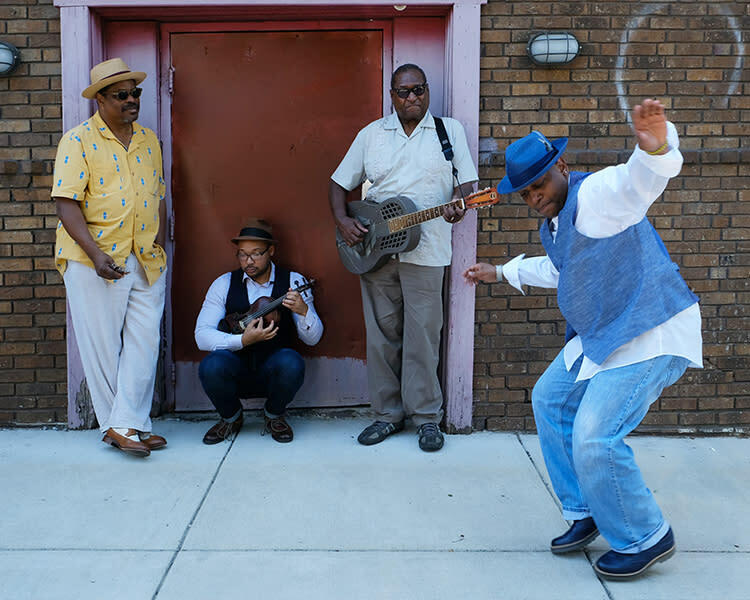 The Harris Brothers, Appalachian blues songsters, round out the program with Reggie on guitar, Ryan on bass, and a kick drum fashioned from a beaten-up suitcase!